Christa Théret attended both the photocall and screening for ‘Doubles Vies (Non Fiction)’ during the 2018 Venice Film Festival on Friday (August 31) in Italy. 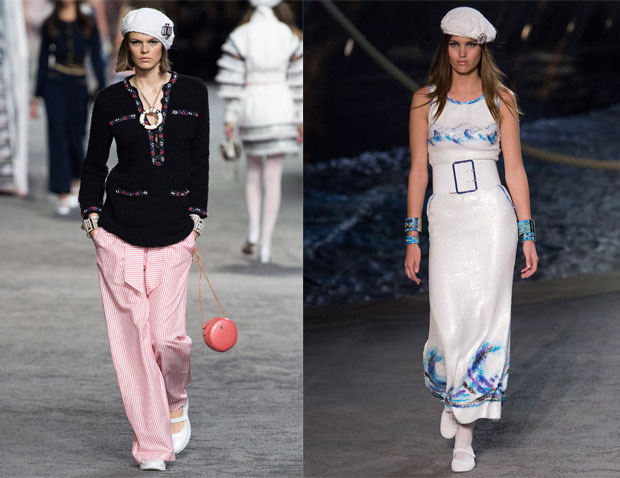 The French actress, best known for her role of Andrée Heuschling in ‘Renoir’, was showing a lot of love for the Chanel Resort 2019 collection. Photocall: Striped with a super laidback approach, I don’t think you can get more Parisian than this. The only downside are the heavy black shoes which are making my heart weep. Screening: I do love this wave micro sequin dress, especially because of the fluted silhouette, but I am super curious to see this look without the wide belt. When it comes to shoes, Christa clearly wasn’t having a good day.